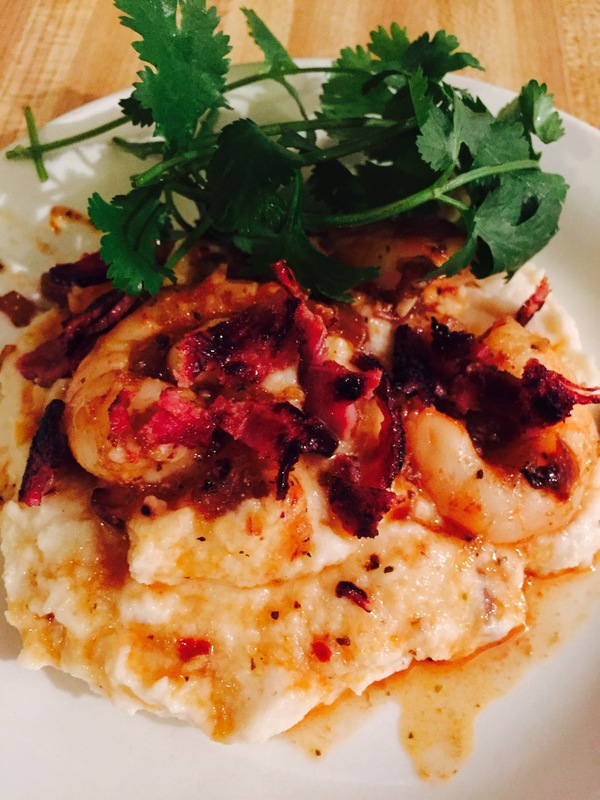 This dish was created with one of my favorite meals in mind: Shrimp and cheese grits. As much as I love enjoying this dish, it doesn’t really love me back! It’s definitely a one-sided love affair. 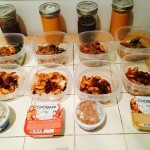 I decided to do a low carb and low fat version of this, and I’m sharing with you. But before I get into that, I’m quite sure you are saying to yourself, “How in the hell can grits be low-carb?” I’ll tell you how: the “grits” actually consist of roasted cauliflower. In a plastic bowl, combine evoo, finely diced fresh parsley, garlic, pink sea salt and pepper. After mixing together, toss in shrimp and let mixture coat. Cover. 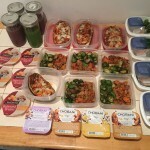 Set in refrigerator until ready to cook. Place cauliflower (cut in sections) on cookie sheet. Drizzle evoo on cauliflower prior to placing in oven. Once softened and slightly brown (about 20 minutes) remove from oven. Immediately place roasted cauliflower in either a high-speed blender or food processor. Add garlic, cheese, sea salt, pepper and plain Greek yogurt and mix. Don’t over do it! You still want some consistency and texture. 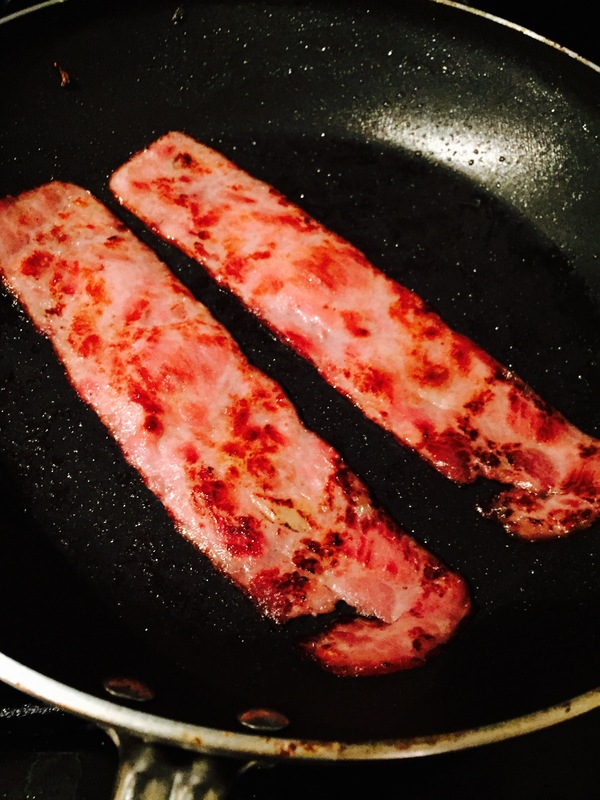 In a pan, fry turkey bacon. Once cooked to a slight crisp, remove from pan. Chop down to bits. Do not clean pan. Add diced onions and garlic to pan. Add evoo to pan and cook down veggies until softened. Add stock, let simmer for about a minute. 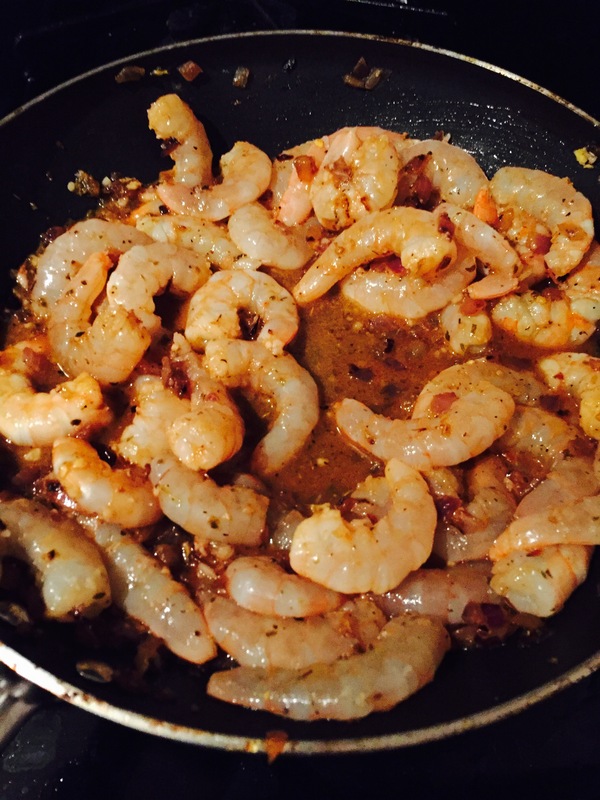 Add shrimp to pan, making sure to pour all marinade in pan as well. Squeeze juice from the half of an orange over shrimp, sprinkle red pepper flakes. Continue to cook until shrimp are pink, about 3-5 minutes. Once finished, plate cauliflower. Add shrimp and the sauce over top of grits. Top with bacon and (optional) a sprig of fresh parsley. Enjoy!